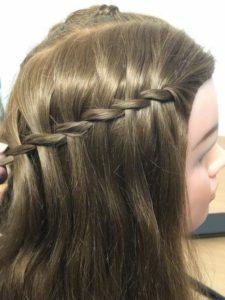 Find out how to create beautiful plaits & braids including French, Dutch, Zipper and Lace & lots more. Build your confidence and find out how to create braided hairstyles. 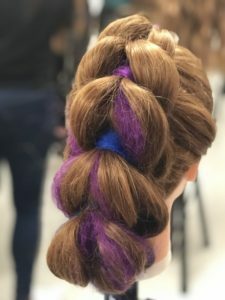 Get lots of braiding practice, help and advice on plaiting & braiding techniques. if you want to Create Beautiful Braids! 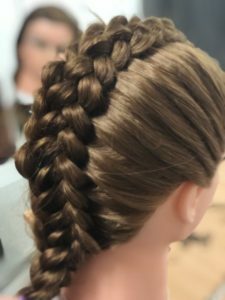 I learnt all the techniques & gained confidence to create so many braids. My granddaughters are going to have amazing hairstyles from now on! Including French, Dutch & Fishtail braids. 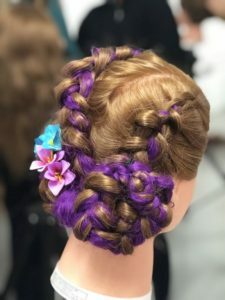 Such as feathering, lacing, waterfall braids and pancaking. including Zipper, Loop, Twisted-edge Fishtail, Flower Braids, Dragon Braids. a Mum, Dad or Grandparent. 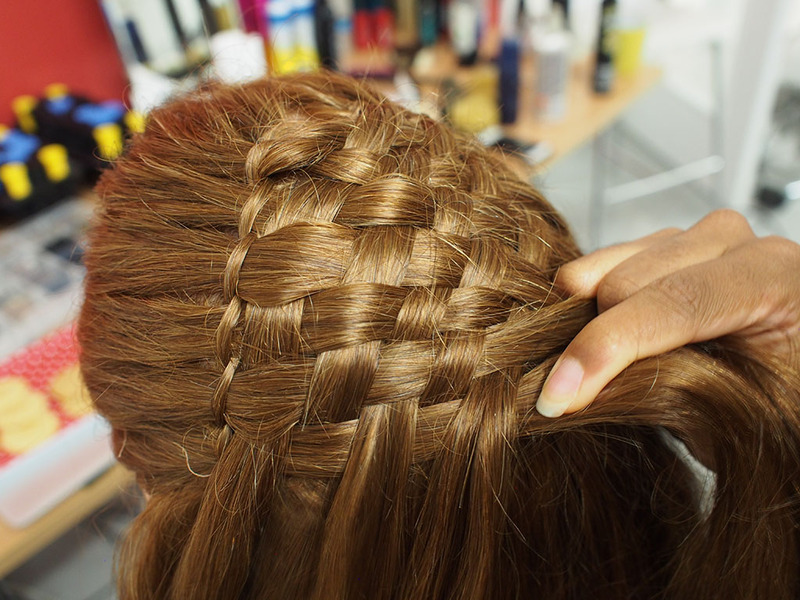 join our Braiding Course & learn how to create great braids. *T&C’s: Only applies to face to face courses. We supply everything you need for training. Join us in our fantastic venue near London’s famous Kings Cross and learn how to create any bridal hairstyle! Whether you are coming from within London, or from further afield, the studio is easily accessible by London’s excellent public transport network. The nearby area is served by numerous bus routes that bring you into Kings Cross, Euston and the surrounding area. Our central London venue is easily accessible via Euston, Kings Cross, Marylebone & Paddington stations. The tube network connects to all London rail terminals. So you will be able to get to us easily wherever you are travelling from. Great Portland Street: Circle, Hammersmith & City and Metropolitan, approx. 7 mins walk. London is served by 5 international airports: Heathrow, Gatwick, Stansted, Luton and London City Airports. All have excellent connections to central London. NB: Allow plenty of time if you plan to drive! It really helped me with some great new techniques and how to hold and grip the hair securely. Even though there was one I struggled to master with a little patience and practice I cracked it. I recommend doing this course. Would recommend this to a complete beginner. 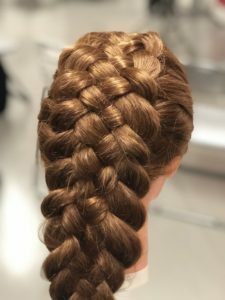 In one day I learnt all the techniques and gained confidence to create so many braiding styles. I completed them all very well and kept up with others on the course who had previous experience. 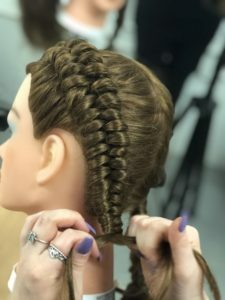 Can’t make our London braiding dates? Zipper, Dragon Braids, Lace & lots more!